The Democrats captured the House of Representatives on Wednesday in the crucial midterm elections while United States President Donald Trump’s Republican Party retained its majority in the Senate, an outcome likely to intensify the political bitterness and fighting between the two major parties in the run up to the 2020 presidential poll. Breaking the Republican monopoly on power, Democrats had already picked up over two dozen seats in the House -- more than the 23 needed to take control of the House for the first time in eight years. Initial statements coming from the Democratic party leaders indicated it would make it tough for US President Trump, who wants major legislative changes on some of his signature issues including immigration, tax and healthcare reforms. Trump, who campaigned aggressively in the last several weeks, expressed satisfaction over the results and described this as tremendous success. “Tremendous success tonight. Thank you to all!” Trump said in a brief tweet. 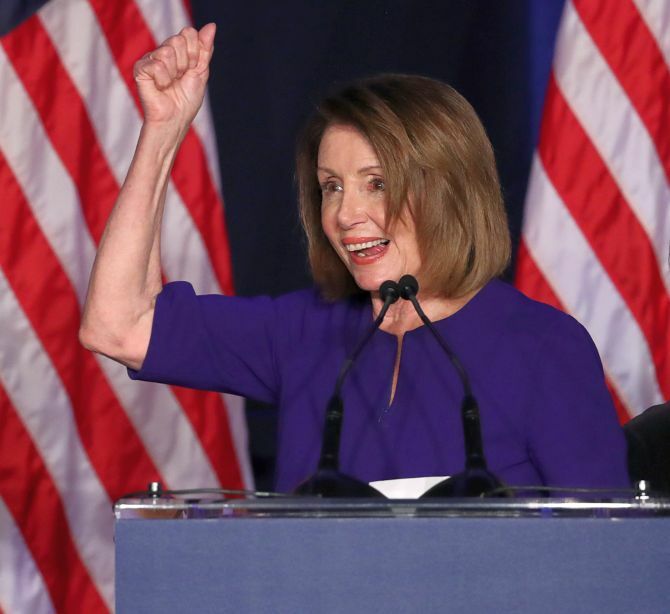 Congresswoman Nancy Pelosi, 78, is expected to be re-elected as Speaker of House of Representatives, which is equivalent to India’s Lok Sabha. “Thanks to you, tomorrow will be a new day in America,” she said standing alongside other Democratic House leaders. She said that the election result is about “restoring the system of checks and balances” in Trump administration thus indicating that the new Democratic party would play the role of a strong opponent in for the US President. US President Trump called Pelosi on Tuesday night to offer congratulations, her office said. 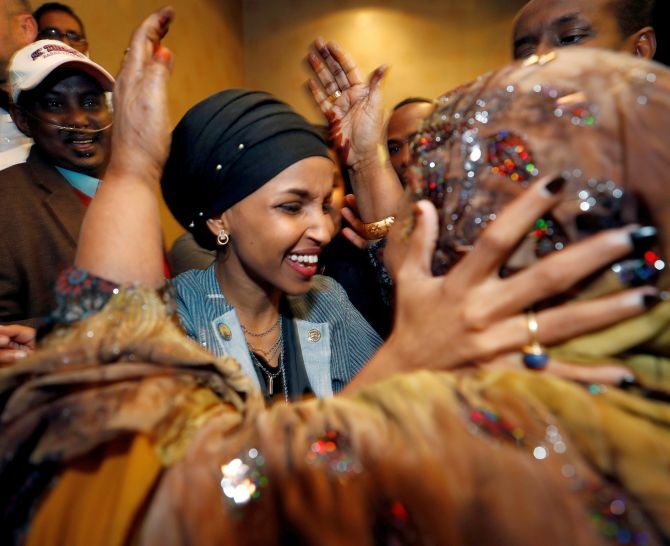 However, the ruling Republican Party retained its majority in the 100-member Senate where it currently has a razor thin majority of 51-49 seats. The GOP is expected to increase its tally, as counting of votes were still going on when reports last came in. Thirty-five of the 100 Senate seats went to polls. In his campaign rallies, Trump had said that he was on the ballot and made it a referendum on his nearly two years rule. The US president who headlined an unprecedented 50 rallies -- 30 in the last two months alone -- and has campaigned for dozens of candidates at all levels of government, according to White House Press Secretary Sarah Sanders, watched the results come in with friends and family in the White House residence. “The President has energised a staggering number of Americans at packed arenas and in overflow crowds at rallies across the country,” Sanders said. 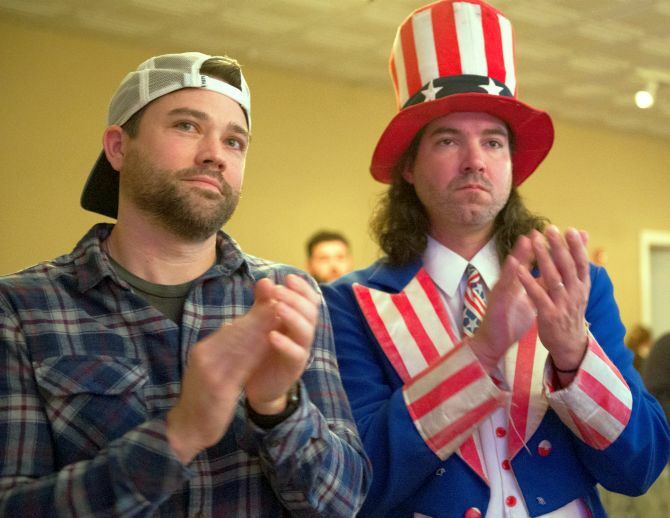 In victory, The Washington Post said Democrats regained some of the confidence -- although less of the power -- they lost in 2016, when Trump won a surprise victory over Hillary Clinton. 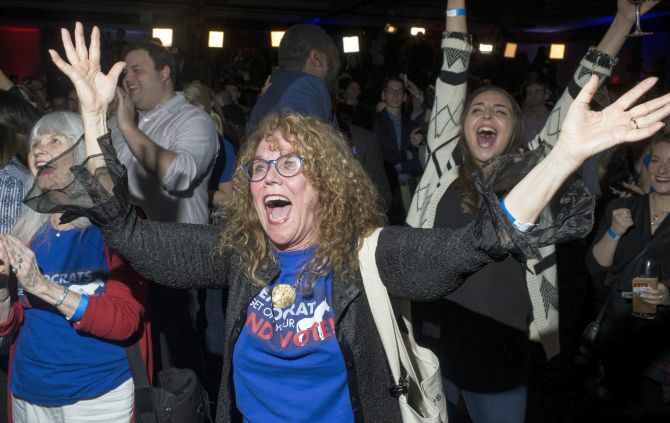 The Democrats also won some of the high-profile governor’s race including Kansas, Illinois, Michigan and Minnesota. 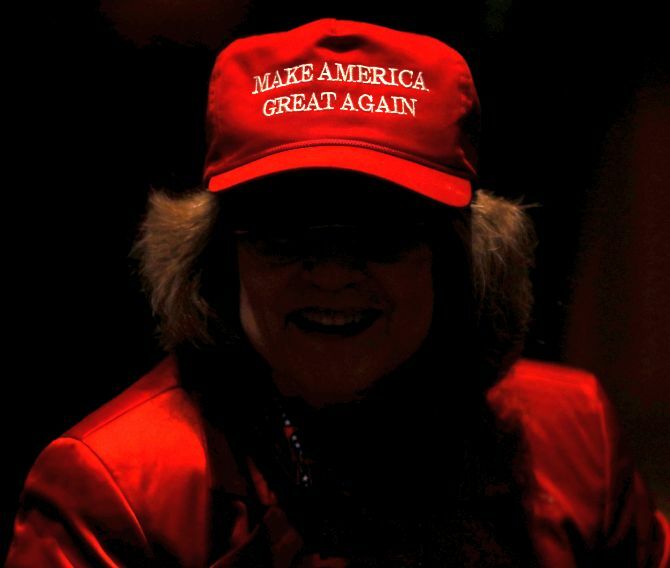 The GOP retained its governorship in Florida.